The nights of June are very short on the northern hemisphere at moderate northern latitudes. 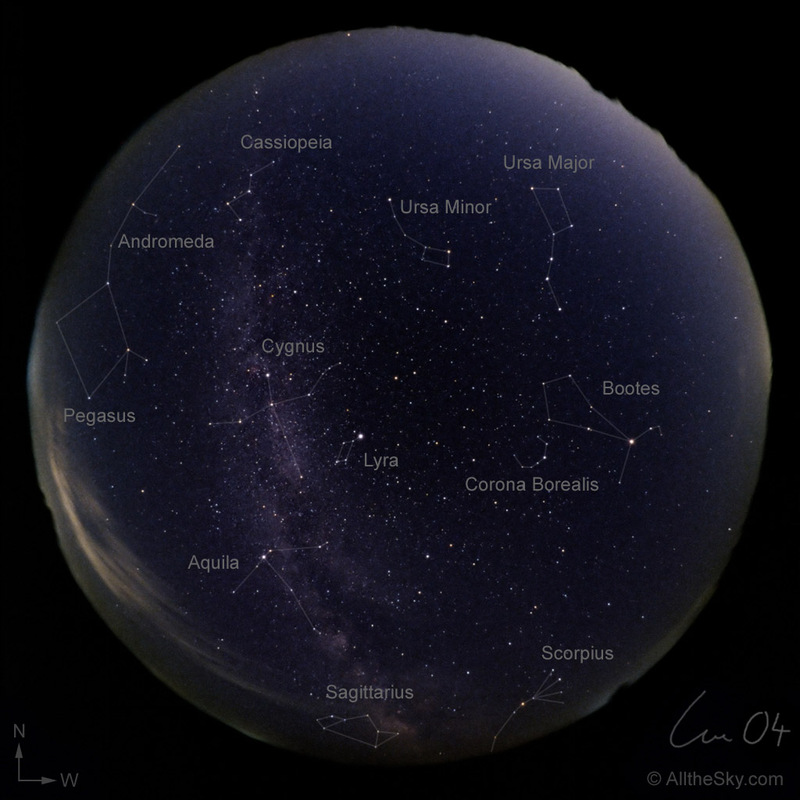 The above view shows all the sky in June at local midnight. The constellation of Sagittarius with its asterism of the teapot is just visible above the southern horizon. Close by is the center of our milky way.